Need a Key Copied? Hang On…We’ll Be Right There. 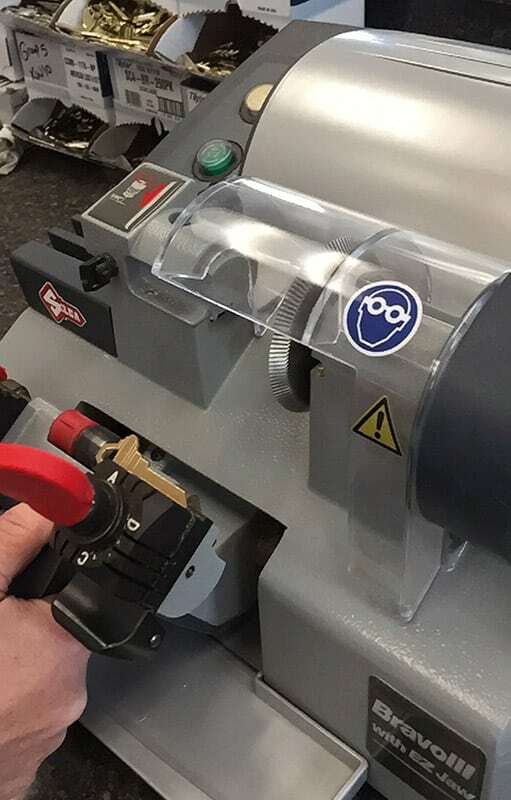 We stock key cutters and thousands of key blanks on our locksmith vans so we can make key copies right on the spot. At Black Hawk Lock & Key, our professional, licensed, and insured team is always a phone call away when you need keys made for your home, office, safe, car, truck, mailbox, and more. We stock a huge variety of key blanks that fit a wide variety of locks by Schlage, Kwikset, Yale, Master, Sentry, Arrow, and many more. Give us a call and we’ll dispatch one our fully-outfitted locksmith vans to your home or office and make the keys you need at a price you’ll love. Sure, you can go to the local home improvement store for cheap and quick key copies, but if their key cutters aren’t calibrated just right your cheap copies won’t work at all or will fail after a short period of time. Black Hawk Lock & Key uses the best key cutting equipment available and our copies work the first time and every time. Plus, since we come to you, you can try out your key duplicates on the spot to make sure they work in your car, home, safe, or office door locks. If you have a lock that you’ve lost all the keys for, we can often time fabricate a brand new key for you. In situations where we’re unable to do that, we can quickly replace the entire lock, or rekey the lock. Rekeying is a great option because it’s quick and more affordable than replacing the entire lock. Finding a locksmith you can trust isn’t always easy. At Black Hawk Lock & Key, we work closely with you to ensure you always have access to the very best services including key duplication. We are a certified, insured, and registered locksmith located in New York. We sell, service, repair, and install keys and locks for most needs. We also can help you with rekeying services. If you need a new lock, we are happy to provide you with hardware from top name brands including Marks USA, Schlage, Kwikset, Alarm Lock, GMS, and Arrow. We are a member of 1-800-Unlocks and, that means you can depend on us for high-quality workmanship and fast turnaround. We are also a member of the Fair Trade Locksmith Directory. These memberships indicate our dedication to providing you with exceptional service. Call us today with any locksmith question you have. We’re here to help!